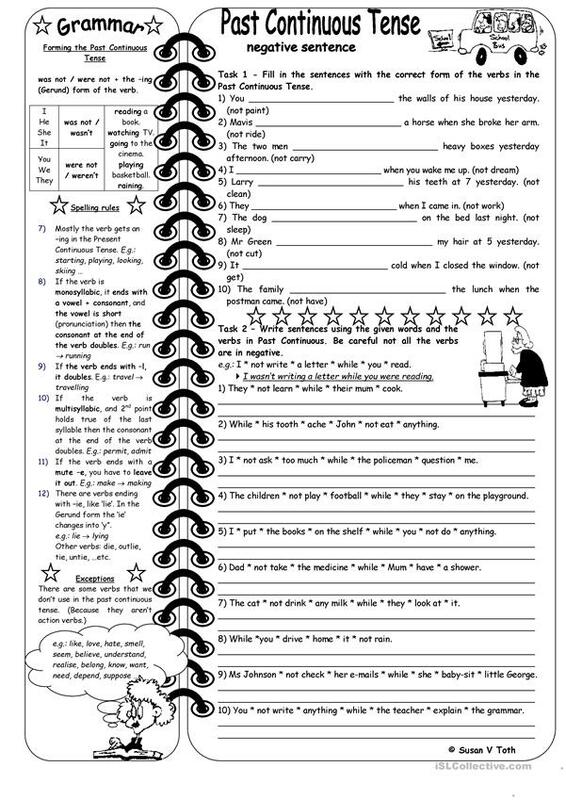 The above downloadable worksheet is best suited for high school students, elementary school students and adults at Elementary (A1), Pre-intermediate (A2) and Intermediate (B1) level. 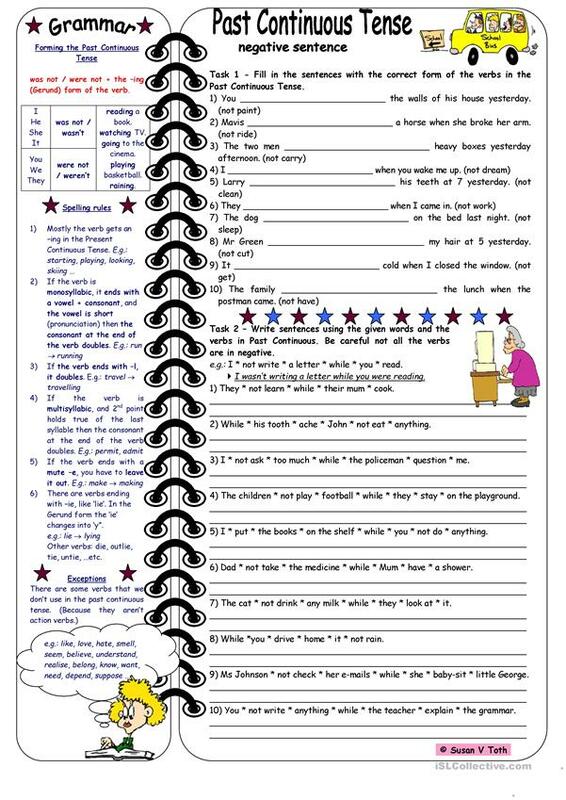 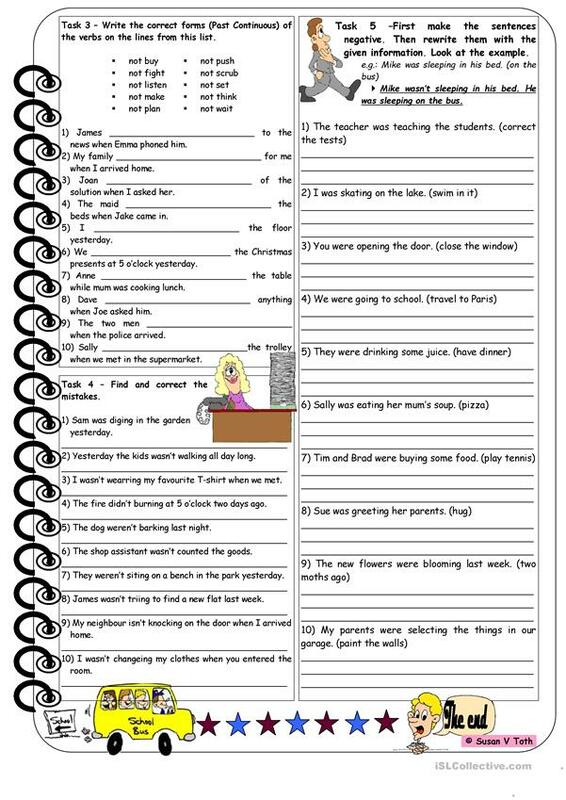 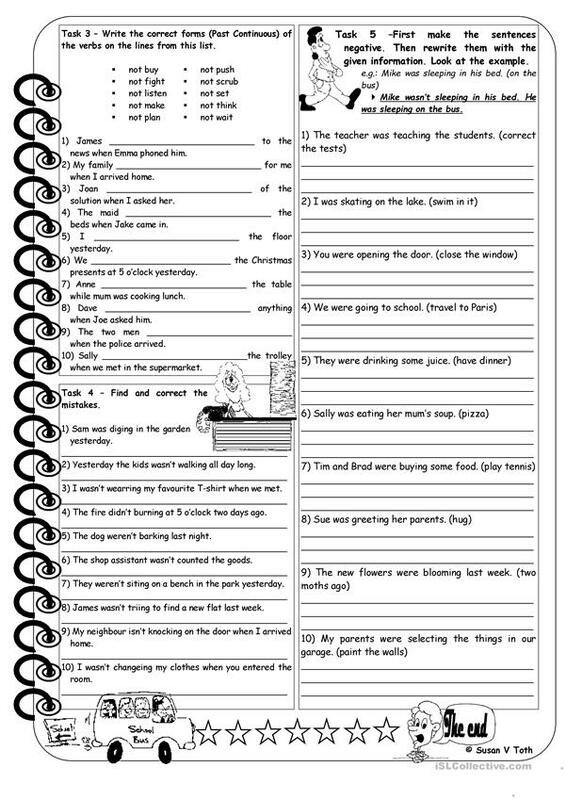 It is a useful material for practising Past continuous (progressive) tense in English. There is a key provided with the exercises.